Back in 2002 when I served as Director of Policy and Communications for Congressman Adam Putnam (FL-12) then Vice Chairman of the Oversight and Government Reform Committee’s Subcommittee on National Security and Foreign Affairs he requested a staff report on North Korea’s nuclear program. 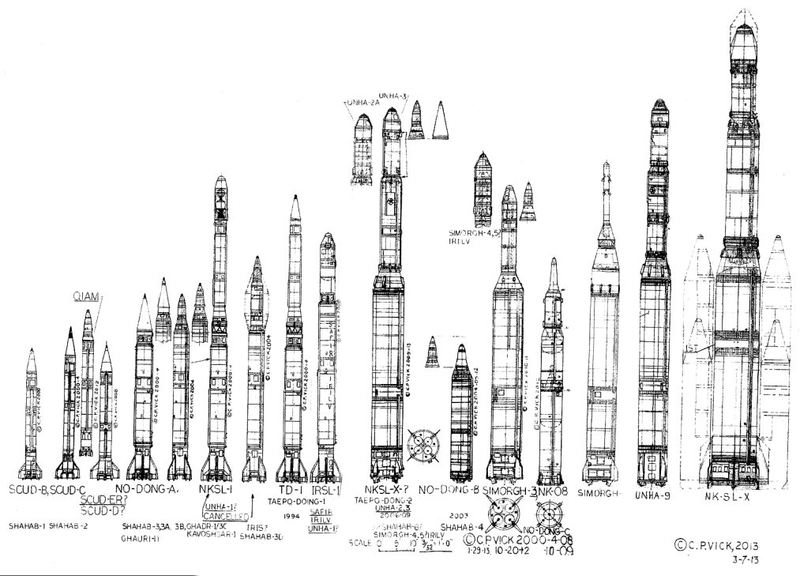 Both North Korea and Iran seem to be using the “building block approach,” by developing space boosters that could be reengineered and deployed as ballistic missiles. This approach could allow North Korea and Iran to possess a Limited Range ICBM within the next five or ten years, while retaining the option to develop a Full Range ICBM, without initially committing to such a course. In general, the performance attributed to the various missile systems appear to far exceed the performance that would be seen under real-world conditions while carrying a legitimate strategic lethal payload mass, which would not be sufficient to reach the continental United States. However, they present a legitimate lethal threat to the Europe, Asia, the Middle East, and much of Africa. The proliferation of medium-range ballistic missiles (MRBMs)–driven primarily by North Korean No Dong sales–has created an immediate, serious, and growing threat to US forces, interests, and allies, and has significantly altered the strategic balances in the Middle East and Asia. We judge that countries developing missiles view their regional concerns as one of the primary factors in tailoring their programs. They see their short- and medium-range missiles not only as deterrents but also as force-multiplying weapons of war, primarily with conventional weapons, but with options for delivering biological, chemical, and eventually nuclear weapons. Iran and North Korea have continued their long standing cooperation on ballistic missile technology via air-shipments of ballistic-missile related items. We assess that some of the shipments consist of ballistic missile jet vanes that frequently transit Beijing on regularly scheduled flights of Air Koryo and Iran Air. On December 29 of last year, we said this growing threat represents one of the great undiscussed strategic challenges facing the incoming Trump administration, and we believed it had gone undiscussed long enough. Back then we said it was time Americans knew the truth about the threat and that the new Trump administration must plan to deal with it. Americans now know the truth about this existential threat and, unfortunately, making North Korea “face fire and fury like the world has never seen,” may be the only option left to deal with it. — If North Korea Has Miniature Nukes, So Does Iran originally appeared at Conservative HQ.